The vegan food market has more reboots than Hollywood, and just like the Star Wars series, everyone knows you can’t beat the originals. Reboots are easy wins because they’re a familiar choice for ‘meaties’ who might fancy a flesh-free option once or twice a week. But Reboots are also hard to get right because they will ALWAYS be compared to their gloriously bloody and superior carnivorous counterparts. Companies such as ‘Beyond’ and ‘Impossible’ are investing lots of money into creating a synthetic or plant-based ‘motherless’ meat that tastes beefy and bleeds. But why?! Do we really want a Soylent Green-esque meat replacement. Or do we want something NEW ORIGINAL and INNOVATIVE that beats meat? Or do we just want meat? (yes). 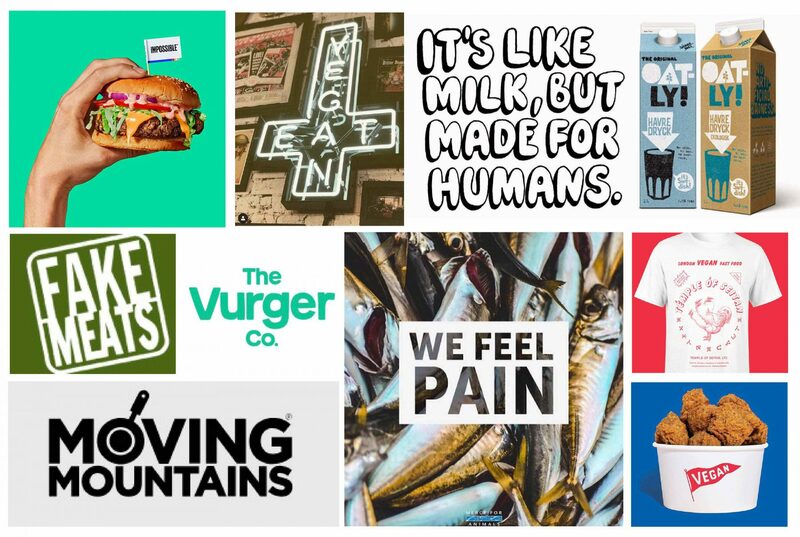 Either way, cool-sounding vegan companies with edgy logos continue to flatter carnies by attempting to recreate classic meat dishes with weird-sounding ingredients. 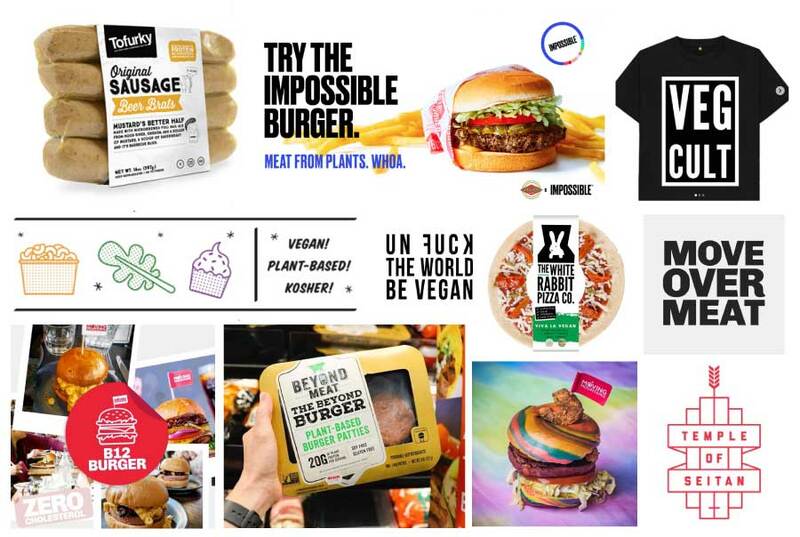 If you ever thought that ‘Quorn’ was a weird word, then hold onto your hamburgers because here’s a few new-wave vegan WTF brand names. 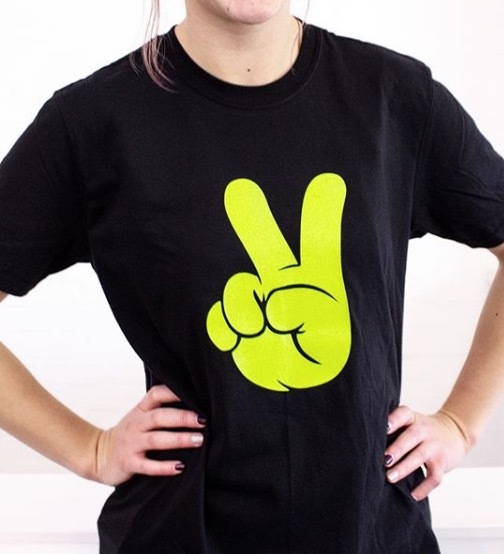 The outrageous names and quirky designs are a product of the challenges vegan products face such as: Breaking-out. Being challenging but also accessible and appealing. Smashing or reaffirming preconceptions. Health and environment claims. Politics, trending, media spotlight and bandwagoning. Quickly conveying what it is and what it’s made of. Allergen, ingredient and suitability labelling. And staying legal in countries where it is illegal to use meat words for a meatless product. Although only 1.1% of the UK population are vegan. 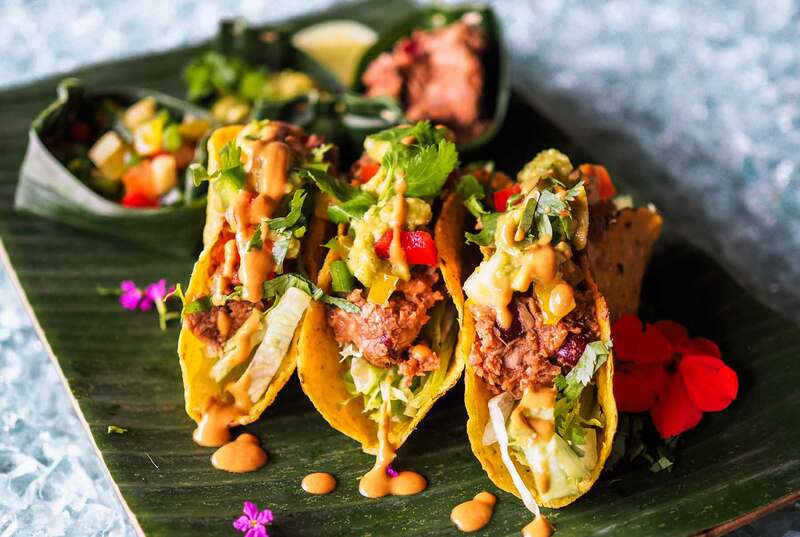 The whole vegan thing is a brilliantly fun and fascinating petridish of alternative crazy creativity that continues to be blown out of proportion and make mainstream headlines – WE LOVE IT!